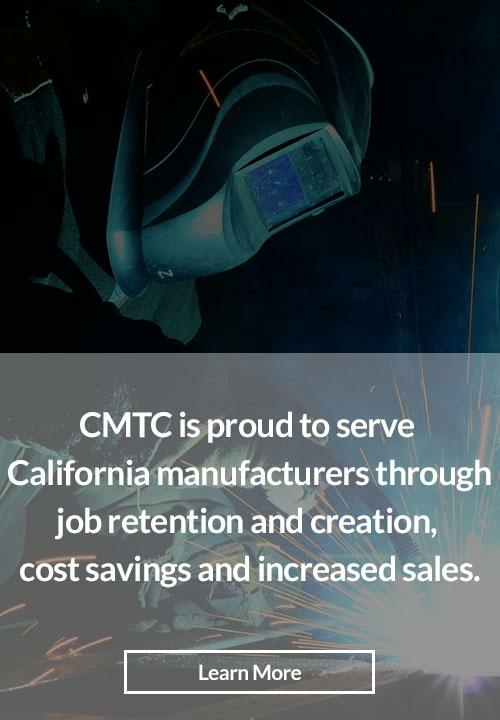 CMTC serves an extremely diverse and dynamic California manufacturing community. Our Customer Stories focus on our clients and the vital manufacturing functions they provide. ProPlas Technologies, an innovative custom injection molding organization, offers full-service mold making capabilities from product design and prototyping, to production tooling, plus assembled and packaged products. When they relocated their business in order to be closer to their customer base, they experienced a significant loss of skilled workers which lead to inefficiencies and production problems. ProPlas connected with CMTC which helped them improve their Lean capabilities. Vinatech Engineering was challenged by the lack of ISO 9001:2008 certification. The organization was missing out on critical larger contract opportunities and was having difficulty diversifying their customer base and attracting new businesses without certification. Prospective customers were specifically citing the absence of ISO 9001:2008 certification as an issue, because it was their official policy that all business partners have ISO certification. Amflex Plastics was challenged by its lack of ISO 9001:2008 certification because customers were making it a requirement that all partners and suppliers be certified. Food Makers Bakery Equipment is a family-owned business that has been serving the baking industry for more than 30 years. The company manufactures a variety of fabricated goods and equipment parts - from single units to complete baking systems. The company offers a range of equipment including mixers, dividers, proofers, bread systems, baker racks, tables and more. The organization has 47 employees and is located in Irwindale, CA. For Doggie Walk Bags, Business is Picking Up! Doggie Walk Bags manufactures bags specifically designed to help dog owners clean up the waste that pets “leave behind” in public areas. Although used during an “unpleasant task,” Doggie Walk Bags’ products are baby powder scented to neutralize odors for pet owners, are opaque in color to hide the contents, and are fitted with easy tie handles to help make pet waste easily disposable. PDF Version | Visit Doggie Walk Bags, Inc. 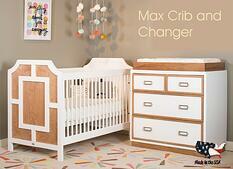 When celebrities buy furniture for their children, they turn to Summertree Interiors Inc. (dba Newport Cottages). Based in Riverside, CA with 25 employees, the company is a minority-owned business that specializes in creating finely crafted baby and children’s furniture from select hardwoods. When an increase in demand for their products lead to difficulties in meeting orders, Summertree connected with CMTC who helped them implement a Lean Transformation Program. 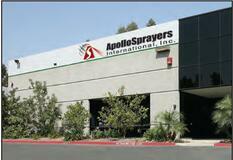 For 50 years, Apollo Sprayers International, Inc. has served as the global hub of High Volume Low Pressure (HVLP) application technology. Based out of Vista, California with 12 employees, the organization designs HVLP Turbospray systems, HVLP spray guns, and accessories for a variety of industries including aerospace, automotive, fine art printing, and more. When they decided they wanted to improve their sales growth efforts through a more strategic markting plan, they turned to CMTC for help. Elite Metal Finishing has served as a one-stop shop for metal finishing and paint powder coating services for more than 15 years. Located in Oceanside, California, Elite Metal Finishing provides chemical processing, plating, painting, and parts to a wide base of commercial, military, and aerospace companies. When Elite's top customers began requiring their suppliers and partners to become ISO certified, they contacted CMTC for help in obtaining ISO: 9001 certification. Leslie Skylights is a full service supplier of custom skylights, standard skylight units, and structural systems. Established in 1983, the company works with architects, general contractors, subcontractors, and business owners to develop and produce the finest quality skylights and products available. In order to accelerate their sales, Leslie Skylights turned to CMTC to help them develop a stronger and more organized marketing strategy. Mask-Off, a veteran-owned business with 21 employees, serves as a supplier of pressure sensitive protective tapes to Original Equipment Manufacturers (OEMs). For more than 65 years, the company’s quality products have helped organizations protect their equipment’s critical components and surfaces from costly damage. In order to help strengthen its supply chain position in their primary fields of business (aerospace and defense), Mask-Off turned to CMTC for help in obtaining AS9100 certification. In more recent years, you’ve probably noticed that vegan has become all the rage. 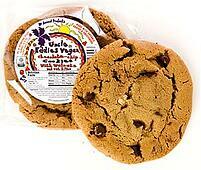 However, there historically haven’t been many vegan desserts being offered to consumers. This is where International Desserts & Delicacies comes in. This family-owned business is based in Glendale, California, employs 19 workers, and has been in business for more than 30 years. If you look down on the interior floor of your car, you may encounter a product created by Lloyd Mats. Based out of Northridge, California, Lloyd Mats is a manufacturer of custom fit carpet floor mats for passenger cars, trucks, vans, SUVs and virtually all types and models of vehicles. Want your mat in yellow or burgundy? No problem at all! The company’s mats are available in over 100 colors and are offered in various materials including all weather rubber and clear vinyl. The business has a unique “employee-owned” business model and has 60 staff members. Apperson, a family-owned business created in 1955, is responsible for a variety of products and software used for educational testing, records and surveys. Although they had strong domestic sales, they felt there were only so many growth opportunities left in the U.S and they were anxious to expand internationally. After participating in CMTC's ExporTech™ program, Apperson experienced a huge boom with international sales and they are now actively exporting to over 31 countries. Diamond Wipes began in 1994 as a two-person wipes supplier for small restaurants. Now employing over 200 workers, it has become one of the largest wet wipes manufacturers on the west coast. Diamond Wipes was looking to increase sales and further expand their growth. By participating in CMTC’s ExporTech™ program, they were able to develop a successful exporting strategy for targeting new international markets. DMC Power, a supplier of replacement parts and connectors for both commercial and business aircraft and spacecraft, was originally part of an aerospace organization. Although separated in recent years into its own operating unit, both corporations shared an IT system that was maintained by the aerospace company.After receiving an offer to sell the aerospace company, DMC turned to CMTC for help in evaluating their IT needs. ADF Visual, located in Rancho Dominguez, CA, has been producing custom commercial audiovisual (AV) structures for display screens since the facility opened in 1993. 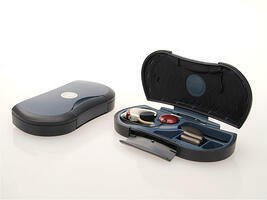 ADF Visual had identified a customer need that they felt could be addressed with a standardized product. CMTC facilitators helped the ADF team combine the ideas into one concept that met the product concept goals. Lekos Dye and Finishing, Inc.
Lekos Dye and Finishing, founded in 1994 and located in Rancho Dominguez, CA, is a company that supplies dyed and finished fabrics to the textile industry. Lekos Dye and Finishing, like many companies, experienced a sales downturn during the recent recession. CMTC and the E3 partners (Energy, Environment and Economics) provided recommendations for ongoing cost reductions with amazing results. American Nail Plate Lighting, Inc. Since opening its doors in 1973, American Nail Plate Lighting, Inc. (ANP) established itself as an industry-leading producer of custom lighting fixtures for both commercial and residential customers. ANP was focused on growth and connected with CMTC for a lean project. California Faucet’s award winning products are unique – everything is custom made. From faucets, fittings and shower systems to luxury drains and accessories, the company makes it all! In 2009, the company hit a roadblock and was experiencing less growth because of the economic downturn. They turned to CMTC for assistance in March of 2012. Since 1972, Wahlco has served as a leader in the international air pollution control market. However, the lack of ISO 9001 registration and certification was impacting their clientele. That's when the company turned to CMTC. Your taste buds might be familiar with Golden Island Jerky Company. Based in Rancho Cucamonga, California, this third-generation, family-owned and operated business produces more than 20 varieties of beef and pork jerky snacks with delicious flavors from all around the world. By 2011, Golden Island was experiencing a hyper-growth period and called on CMTC to meet its new demands. From high schools and educational facilities to offices and emergency centers, Stolo Cabinets creates quality cabinets, countertops, casework and millwork for a wide range of locations. For more than 40 years, the Brea, California-based manufacturer has used state of the art machinery and high-tech software to produce top quality layouts for its diverse group of clients. For more than five decades, Nursery Supplies, Inc. has been a manufacturer of plastic containers for the wholesale nursery industry. Today, the organization is seen as a global leader in the field and is the only manufacturer fully dedicated to the industry. Its Orange, CA location opened in 1976 and currently employs 30 workers who execute blow molding, injection molding and large-scale thermoforming manufacturing processes. Empowering caregivers of special needs children is an important task, and that’s just what Convaid does on a daily basis. Located in Torrance, California, Convaid has been a manufacturer of folding wheelchair structures since 1976. Johnson Precision Products, founded 40 years ago, develops products to manage the deburring process. Deburring is the finishing process which removes ragged edges or shavings, called burrs, on metal after it has been machined through welding or molding. Based in Santa Ana, CA, the company’s capabilities include turning, milling and deburring aerospace parts which range in dimension from the size of a fingernail to a coffee can. Luminit is a global provider of innovative light management solutions for the lighting, display, biomedical and machine vision industries. From reading lights in airplanes and dashboard lights in automobiles to concert lighting for some of your favorite performers, the manufacturer’s optics and Light Shaping Diffusers (LSD) are used for numerous applications. From albums and binders to puzzles and folding cartons, American Graphic Board, Inc. manufactures some of the products we use in our everyday lives. American Graphic Board made it a priority to expand its business back in 2011. The company requested CMTC’s assistance to work with them on product innovation, financing, continuous improvement initiatives and cost reduction projects. Whether you’re attending a live concert or watching an action movie, your experience is going to depend on the sound. When consumers need their music, noise or voice amplified in a quality manner, they turn to QSC Audio Products. If you’ve driven over manholes and bridges, or past highway barriers or soundproofing walls, then you’ve probably encountered products made by U.S. Concrete Precast Group. If you've ever been to a National Coffee Chain and snuck yourself one of those delicious Peanut Butter Mini Cupcakes, then your taste buds are quite familiar with Ne-Mo's Bakery. Chromatic Inc., Lithographers, a printing company, is writing an exciting new chapter for their business. Faced with dramatic shifts in their industry, the 30-year-old company took stock of their business and devised a plan that is helping them thrive in their rapidly changing corner of the marketplace. Although Accurate Dial has always maintained strong relationships with their clients, a significant challenge arose that threatened their ability to serve their customers. Erin Dyer, Quality Control Manager for Accurate Dial, dates the beginning of this challenge back to 2002. “An organization had called us up and asked us to obtain ISO9001/AS9100 certification,” she recounts. ISO9001/AS9100 is a quality management standard for the aerospace industry. When it comes to quality, Steve Dively says his company aims extremely high. The Vice President of Dicronite® Southwest keeps a photograph of the Mars Explorer Rover in his Covina, California office to remind him that the manufacturing marvel was built using Dicronite® Southwest’s Dry Lubricant coating process. Like many other manufacturers in the Golden State, Dramm and Echter Inc. was presented with a major challenge: the economic downfall. The roadblocks appeared extremely difficult to overcome - a volatile market together with a staggering local economy and rising energy costs all led to struggles with profitability. D’Addario’s signature reeds are made from imported cane grown and harvested in its plantations in Argentina and France. The cane is trimmed, broken down into small pieces, and then the “splits” or sections are sent to Sun Valley, CA. There they are milled using equipment that measures each minute detail of a reed's cut. To meet the most stringent manufacturing requirements in the industry, Henry “Hank” Brown knew that the manuals and procedures in his electroplating facility had to be more automated. The president of Electronic Precision Specialties also knew that a certification from the National Aerospace and Defense Contractors Accreditation Program equaled happy customers. Some workplaces are teeming with office conflicts that can damage morale and thwart productivity. 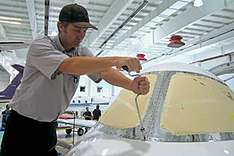 But conflict resolution training isn’t really necessary at Omega Precision®, an award-winning high-precision machine shop that makes parts for everything from aircraft to space planes. The Chief Executive Officer and Chief Operations Officer are brothers. Ninety year-old Joe Venegas, who founded the familyowned company in 1965, often stops into the Santa Fe Springs, CA plant for lunch.